When and Why Should I Use Urgent Care? Hundreds of millions of Americans use Emergency Rooms every year, often for simple injuries and illnesses. If these Americans knew about urgent cares then many of these unnecessary visits could have been prevented, clearing up hospitals and saving each patient hundreds to thousands of dollars. Why Should you use Urgent Care? There are two main reasons you should use urgent care over the emergency room when there is not a medical emergency. Emergency Room visits are not cheap. According to a 2013 National Institute of Health Study the median cost of a visit is $1,233 but some other estimates put it closer to $2,000. Urgent care visits are far more affordable. A visit to urgent care ranges from $50 to $200 on average, varying slightly based on insurance and the type of treatment. Outside of life threatening situations urgent care is always the more inexpensive option. Urgent care visits are also quicker and rarely last much longer than an hour. Often they can even be less than 30 minutes. Since emergency rooms focus on treating critical patients first the average time of a visit is around 2 hours. The wait for an emergency room can be quite long if your need is not immediate. When Should you visit the Emergency Room? Why would you ever visit the emergency room if urgent care is so much faster and more affordable? 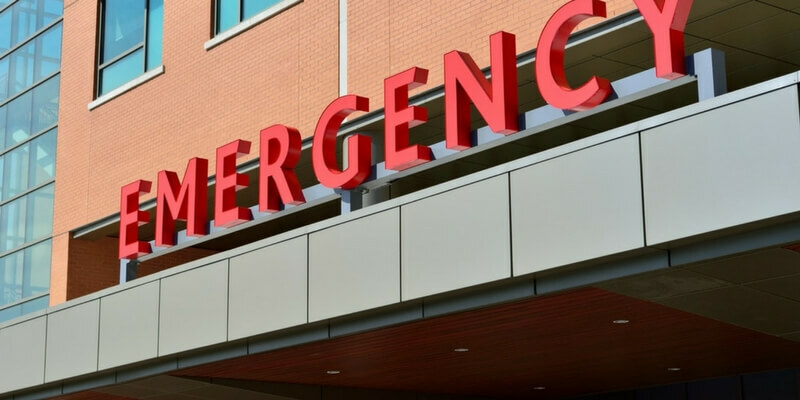 While urgent care is indeed the best option in many circumstances, in a dedicated emergency an Emergency Room will still be the superior option as they are fully equipped to handle dire injuries and illnesses. If you have received injuries that are potentially life threatening or have symptoms that could indicate a potentially life threatening disease, you should always visit the Emergency Room and call 911 if necessary. When Should you use Urgent Care? Urgent cares arose as a way for patients to receive treatment outside of the normal hours of their doctor’s office without visiting the emergency room. Therefore, any issue that your primary care doctor could address can probably be dealt with by an urgent care as well. If your issue is not life threatening then urgent care is normally the best and most affordable option. In the case of life threatening emergencies the emergency room is where you should go. However, urgent care is a quicker, cheaper, and just as effective solution in almost all other circumstances. At DOCS Urgent Care we pride ourselves on our ability to offer the treatment that you need at an affordable price. Find your nearest Urgent Care in Connecticut. Fractures, Sprains and Strains: What Do I Have? Winter is here, and the choir of sniffs and sneezes seems ever growing in our daily life. Posters beg each passerby to wash their hands on every corner of the office and flu shot jingles are all over television and radio. That’s right: flu season has come. And DOCS Urgent Care in Fairfield, Norwalk, & Bridgeport wants to make sure you’re prepared. It’s hard to tell if our common cold symptoms will warrant a visit to the doctor or a week away from work. Is it just a sniffle? Or will I wake up tomorrow sneezing harder? Am I running a fever, or is the room too hot? Sickness is stressful enough once symptoms rear their ugly heads — but having to deal with the guessing game of “flu” or “cold” every winter gets old. The difference, believe it or not, has more to do with what you’re feeling. More often than not, we write our symptoms aside as pesky or mild in favor of going to work. But with more attention, we can spot the flu before it clears out our weekly plans. The most recognizable symptom of a common cold is post-nasal drip: that strange, dripping-sensation you feel at the back of your throat when you cough. Post-nasal drip is caused by a buildup of excess mucus in the sinuses. As mucus piles in the sinuses, excess travels down the back of the throat. The mucus on the back of your throat irritates the tissue, and your body prompts you to cough in an effort to clear your throat. A dose of Robitussin mildly alleviates the ache, but by dawn you’re hacking up a lung. Your standard cold comes with all its trademark symptoms: stuffy nose, sore throat, and maybe a sinus infection. You feel cold and sleepier than usual. Symptoms, despite their annoyance, are rather mild. The flu is characterized by more moderate to severe cold symptoms, with its own additions. 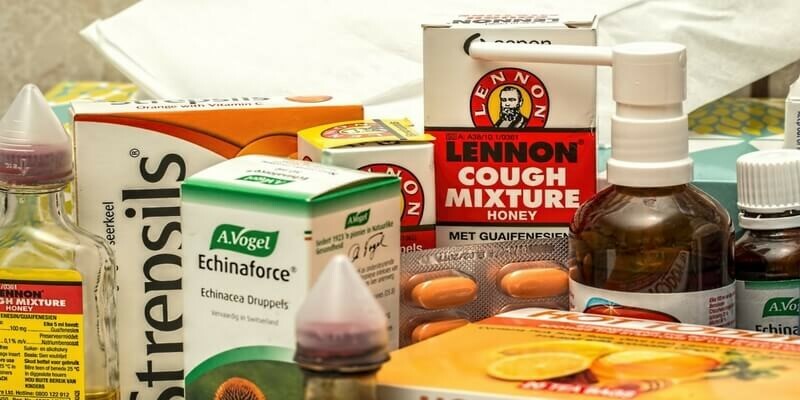 While common cold symptoms come with the flu, you experience them with more severity. A mild fever you might have with a cold will raise in temperature. The flu also adds body chills and aches to its arsenal, as well as an unshakeable feeling of fatigue. In comparison to the cold, you find yourself exhausted as opposed to being tired. Your body will be sore and potentially feverish. A fever is not necessarily the tell-tale sign your cold has graduated to a flu, however. The easiest way to combat your flu is with prep-work. Taking the extra step to receive your flu vaccination to save the guesswork of flu season. So is it a Cold or the Flu? The difference between the two? Speed. A cold is gradual. Symptoms begin and develop on a day-to-day basis, usually beginning with a sore throat or runny nose and escalating from there. Its symptoms are very mild and slow to come. The flu, in contrast, is sudden. Symptoms come in quick succession rather than building like a cold. Flu symptoms require immediate attention. Be this by home remedy and rest, or a visit to Beyond Urgent Care’s facilities, a flu has potential for complication. Young children, adults above the age of 65, pregnant women, and patients with chronic medical conditions are at the highest risk for complications, and are advised to see a doctor immediately to prevent issue. Knowing your symptoms and acting accordingly can be the difference between a week away from work and a trip to the doctor. Visit our locations page to find the nearest urgent care near you.